Get the stress-free airport parking experience you deserve by booking WallyPark Premier Airport Parking at Seattle-Tacoma Airport. 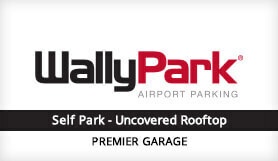 WallyPark pride themselves on their first-class service and strive to offer everything you could need from airport parking, including luggage assistance, regular shuttles to and from the airport terminals, a bookable hand car wash, a bookable detailing service, and complimentary coffee or a water bottle with a free copy of USA Today. Please take a copy of your reservation receipt with you on your day of travel. Valets and car detailing are available to book on arrival. $3.20 City Tax and $2.30 Port Fee Tax are charged as Additional Taxes. WallyPark suggests that you arrive 15 minutes prior to the time you want to be at your terminal. Once you arrive at WallyPark, please show a copy of your reservation receipt to the parking attendant. Information will be given on arrival at WallyPark.